ObamaCare's individual mandate is back in the news along with the usual sniping about who supported the policy first. (Mitch Daniels was not one of those people, by the way.) Now is a good time to revisit the issue and two arguments that ObamaCare supporters use to justify the policy that has drawn more heat than any other aspect of the plan. First, ObamaCare's individual mandate is not like automobile insurance. Generally, the point of mandatory automobile insurance is not to ensure that automobile owners are protected against the loss of their own vehicles. The point is that people carry liability insurance so that other people are covered in the event of an accident. This is why people who drive older vehicles often only carry liability insurance and not insurance on the vehicle itself. The point is to protect others. There is simply no comparison here. If I cause an accident, I should be insured so that the other person's property damage and/or injuries are covered. It is reasonable to require this as a tradeoff for using roads paid for and built at taxpayer expense. I am not required to have insurance to protect myself in the event of an accident. Furthermore, I am not required to purchase automobile insurance if I do not own a vehicle. Automobile liability insurance mandates are also state -level mandates, which leads to the second point. ObamaCare's individual mandate is not the same as the individual mandate implemented by Mitt Romney's health care reform in Massachusetts. The primary difference is scope and constitutionality. RomneyCare's mandate is a state-level mandate for the people of Massachusetts, while the ObamaCare mandate is a one-size-fits all national mandate for a nation of 300 million people that stretches all the way across the continent. When our founding fathers wrote the Constitution, they envisioned a system where the states would have wide latitude in what they are permitted to do. Meanwhile, the federal government would be much more limited in what it is permitted to do, confined to specific areas such as national defense. This is why ObamaCare's individual mandate is unconstitutional, because there is no specific authority in the Constitution to mandate everyone in the nation buy anything. ObamaCare's individual mandate was the biggest overreach of a a Democratic supermajority that was prone to overreaching. 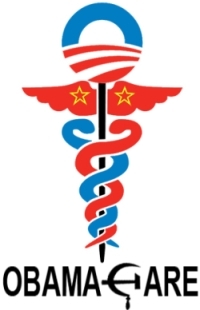 While we do not have a realistic chance of actually repealing ObamaCare while Obama is President, that should be the first thing that happens after a Republican President takes office in January 2013.